BMC Insurance: there when you need it. Planning an adventure? Remember to pack BMC Travel Insurance. We’ve got you covered: from bouldering in France to trekking in India, sport climbing in Thailand to new routes in the Himalaya. Here are five reasons why BMC Travel Insurance is built for the mountains. Adventurous people like you have been trusting us to protect them for over 30 years, and we sell over 15,000 policies every year. Take out travel insurance with us and not only do you have gold-standard cover, you’ve got our legendary expertise behind you too. We’re not a faceless insurance company. We’re the national representative body for climbers, walkers and mountaineers in England and Wales. We exist to fight for the rights of walkers and climbers and our insurance cover is no exception. 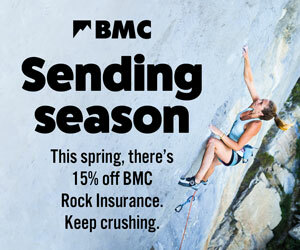 BMC Travel Insurance is built for the mountains. Our insurance is designed to protect you on your adventures, whether that’s bouldering in France, trekking in India or climbing the world’s highest peaks. We’ve got five different policies so that you can find the right fit, from travel, trekking, hill walking, climbing, skiing to mountaineering. We can also arrange specialist cover for unclimbed peaks and inaccessible regions. We regularly review our rates and terms and conditions and check these against other adventure insurance providers. All our policies are competitively priced. Children travel for free on our family policies. We removed the limit on the number of children that can be included on family polices at no extra cost. There are also reduced rates for couples, families and single parents buying annual multi-trip policies. If you hold a professional award (AMI, BMG, BAIML or MTA) then our professional extension is now completely free. All profit from our insurance scheme is invested back into our vital work for climbers, hill walkers and mountaineers. This includes access work such as buying crags to secure access for future generations. Major reconstruction work and in-depth assessments are underway in Nepal to build-back-better and get the Himalayan nation ready for the upcoming tourist season. What does this mean for trekkers and climbers taking out travel insurance? Are you heading off on a summer adventure? Here are our five reasons why you should be packing BMC Travel Insurance.